PODEMOS may be taking 20 more politicians into parliament than was predicted just days ago. In a sensational exit poll in the Spanish general election, the anti-corruption party may have won up to 80 seats, just one less seat than the socialist PSOE. While the PP have polled the highest percentage of votes, they are well short of the 176 seats needed for an overall majority. The PP are set to win between 114 and 118 seats with PSOE second and predicted to return beween 81 and 85 delegates. Podemos look poised to win 76 to 80 seats with Ciudadanos winning between 47 and 50. 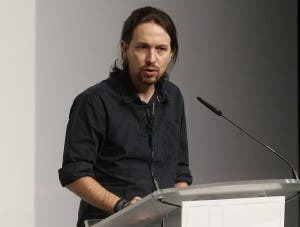 In Catalunya the Podemos-backed En Comú Podem are on course to win 12-13 seats with Democràcia i Llibertat party way back with a predicted 6-7 seats. A poll showing how parties have fared compared to how they were predicited to do shows Podemos have won around 5% more votes than was predicted.